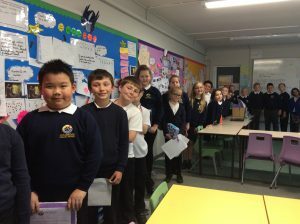 I am Paul Wallis: English Leader and Year 5 teacher. One of the many reasons I love working at Holybrook Primary School is it see how our children’s reading develops from Nursery to Year 6. It is wonderful to see how our children’s relationship with literature grows and flourishes by the time they leave us at the end of Year 6.